The Safco AlphaBetter Book Box is an office desk compartment that offers plenty of space allowing the storage of papers, books, documents and other office supplies. This stylish and durable box is 22 inches wide, 15 inches deep and 4 ¾ inches high. It can easily be screwed into place with its pre-made holes. 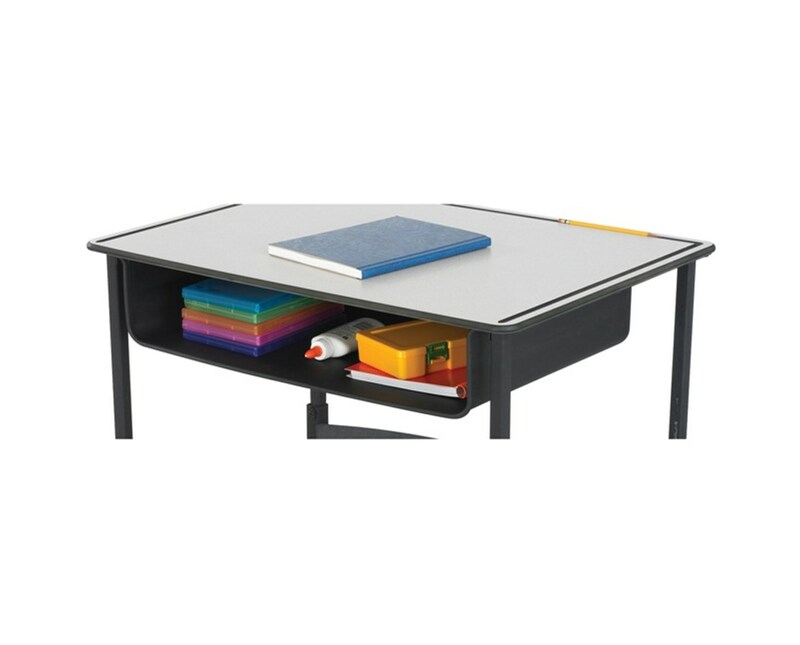 This under desk book box is made of steel, is Global Educator Institute (GEI) endorsed, and is GREENGUARD certified, meaning it does not emit chemicals and other pollutants making it safe for indoor use. 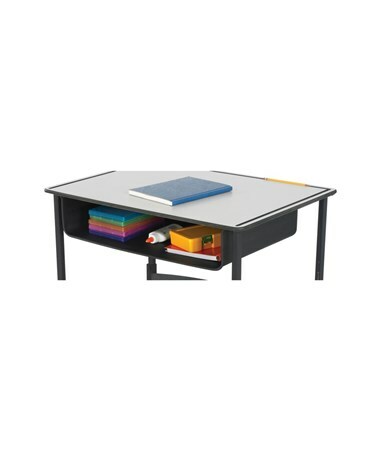 It is perfectly compatible with Safco AlphaBetter Adjustable-Height Stand-Up Desk.